Another finished object. Yippee. This is another scarf, knit in the movies. In the summer, I have more opportunities to go to movies, and I love to take simple knitting with me. Scarves fit the bill! Yarn: I brought the yarn in Alexandria at Fibre Space. It's from Neighborhood Fiber Co., and I love love love this yarn. It is a superwash merino, worsted weight. The colorway is Georgetown -- all of their hand-dyed yarns are named after neighborhoods in the D.C. area. When we were in Fibre Space, I gravitated toward this yarn. I didn't buy it at first, because it was ANOTHER blue yarn -- I buy so much blue yarn. But the color called to me, and we went back to the store, and I bought it. Very glad. It has this great weight and drape. Love it. Needles: Size US 7, Knitpicks aluminum interchangeable circular needles. 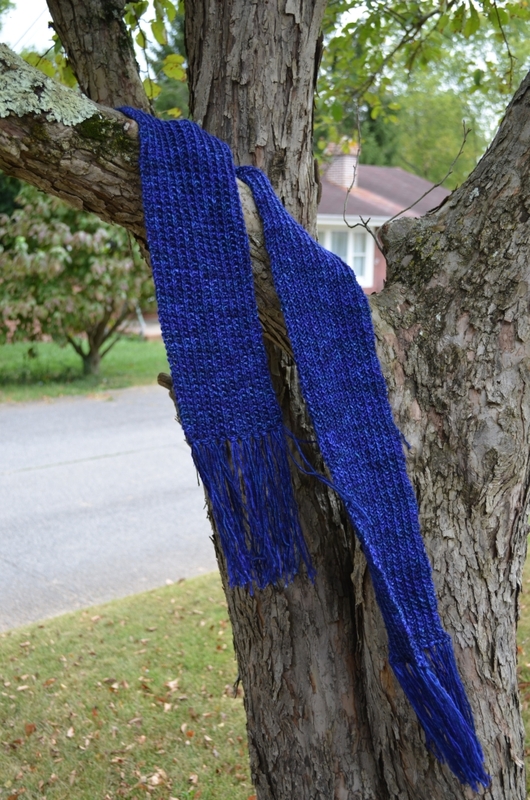 Pattern: This is a farrow rib scarf, based on the advice of Lara Schmidt. Click that link -- it's a simple three stitch repeat, the same on both rows. 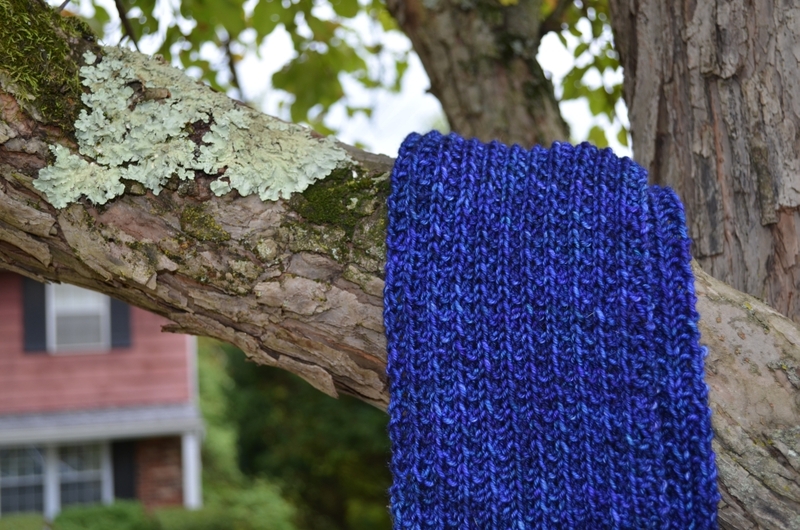 It makes the scarf easy to knit and reversible. All the scarves I've made, and this is the first time I've added fringe.